Blog posts tagged "omega fatty acid balance"
The sacred white chia seed has been a cherished food of native people from the Americas. Chia seed is an abundant power house of nutrition. They are the famed super food of the Tarhumara natives of Northern Mexico. This legendary tribe is noted for their long distance run abilities. They have been know to run for 100+ miles without stopping. Imagine running 100+ miles through desert mountain regions practically barefoot!? It is hard for us to fathom such feats (no pun intended). And their fuel for these journeys are none other than chia seeds. Chia seeds are a unique and well rounded super foods. They have gained great prominence over the last decade and now they are know to be a nutrition powerhouse. But, chia seeds have been a staple food of the Aztecs, Mayans and other indigenous people of the Americas since Pre-Colombian times. Chia can be found growing wild in deserts throughout the American Southwest and into Mexico. I first came across chia seeds about 14 years ago and what I enjoyed most about these seeds was that they provided sustainable energy. I would grind the chia into a fine meal and spread a thick layer on my buttered toast. I found its wonderful nutty flavor a compliment to my morning meal. So many folks are seeking ways to gain more energy. And, in their search they usually reach for caffeinated sugary drinks. While this provides an immediate boost it causes a severe deficit which grows over time. But what if there was something that was truly healthy and provided wholesome sustainable energy? You would want to know right? Well the answer just might be Chia Seeds. Since chia seeds do not contain caffeine or any known stimulant you may be wondering how they can provide a feeling of sustainable energy. It is believed that the sustainable energy is due to a combination of dense nutrition, 30% protein content in chia. And the slow burning fibers that provide sustained energy and aid with blood sugar regulation. When hydrated chia seeds bulk up and a gel forms around the shell of the seed. This slippery demulctent offers a few benefits, one is to slow down the breakdown of sugars in the body. Along with the fibers the gel in Chia act as a of regulator of sugars in the body. When our body rapidly breaks down sugars or if we consume a sugary meal or smoothie this will spike the blood sugar. This leads to a big high where we have lots of energy but then crash hard. But you can use chia as a time releasing agent to give you a sustained release of sugar into the blood stream. Add Chia seeds to your morning smoothie to get the benefits that were just mentioned. The gelling action of chia seeds is very soothing and moistening to the mucous membranes of the digestive system. This can be a benefit to those who are constipated or suffer other digestive disturbances and inflammation related conditions. Chia seeds have a nutty flavor that will make a great compliment to any ones diet. So if you are an athlete, a dieter or simply someone who cares about healthy eating chia seeds just maybe for you. There are a wide range of benefit to adding chia seeds to your diet. 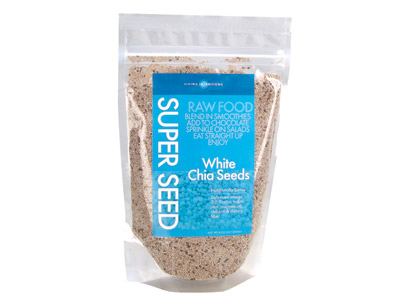 Overall chia seeds provide a broad spectrum of nutrients in a small easily digestible seed. The fiber content alone would be great for most people. 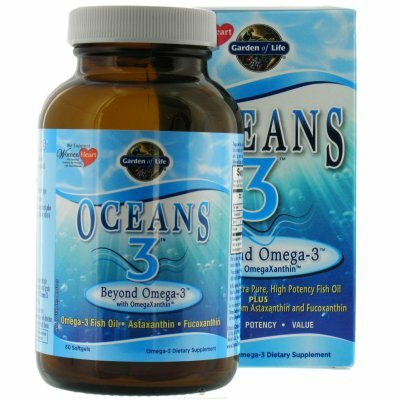 Then on top of that you are getting essential fatty acids which are 'essential' to health. On top of that you then get 30% protein! As well as a variety of anti-oxidant compounds, minerals and vitamins. These statements have not been approved by the FDA, they are not meant to treat, cure or diagnose any disease or illness.